The average months of remaining housing inventory is 6.1 nationwide, according to a Pro Teck forecast. In June, the number of hot markets increased by 45 percent, with the number of 10-plus MRI areas dropping by 36 percent from the same time last year. 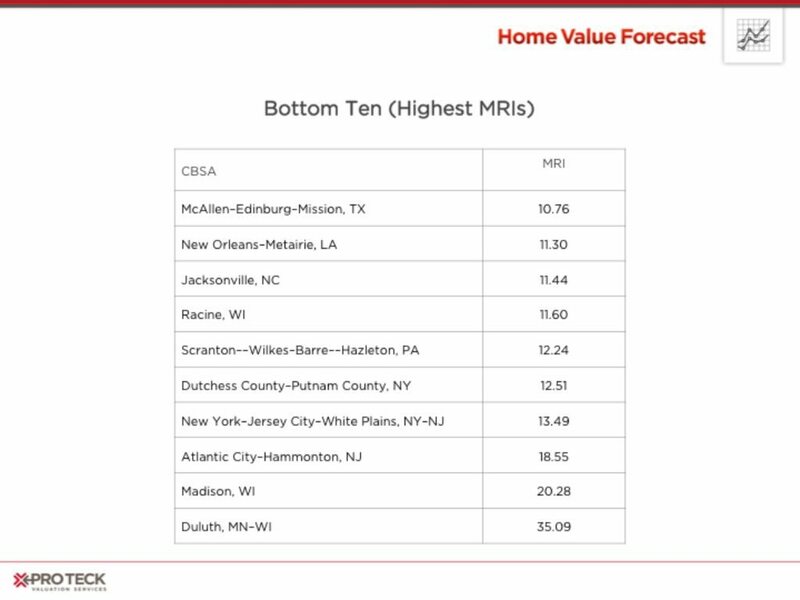 East Coast and rural markets have the highest MRI numbers. An analysis of the nation’s top 200 markets shows the average months of remaining housing inventory (MRI) sits at 6.1. According to Pro Teck Valuation Services’ Home Value Forecast, this figure represents a decrease of more than 12 percent from the same time last year. 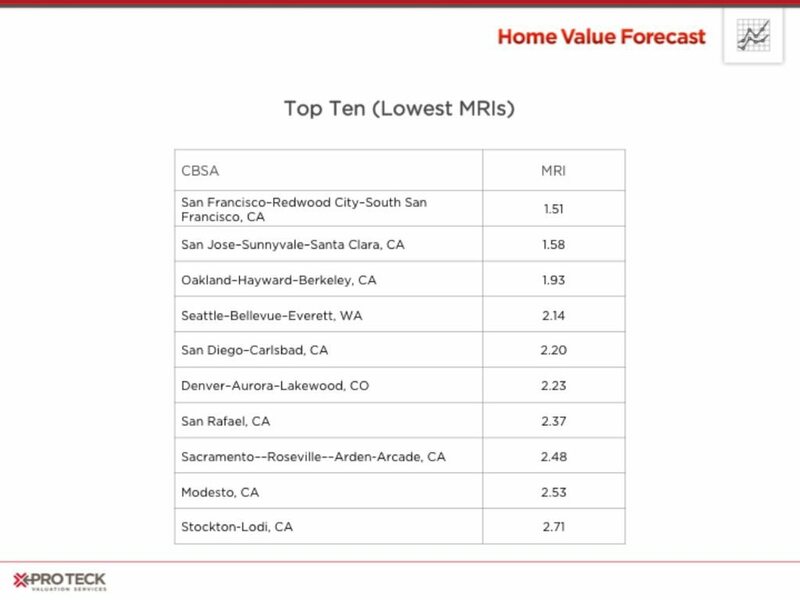 A number of markets with lowest MRIs are in California, with San Francisco leading the pack with a MRI of 1.5. Overall, the top 10 “hotter” markets all have an MRI that is less than 3.5. According to Pro Teck, East Coast and rural markets have the highest MRI numbers.